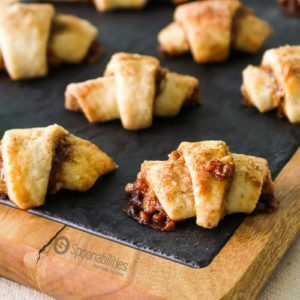 This easy Rugelach Cookie is very well-known as a Jewish cookie made with a sweet cream cheese dough filled with a mix of walnut, sugar & cinnamon. We added our Fig Pomegranate Jam, but you can also do it with any of our jams or preserves like Fig Almond Spread, Apricot Fruit Spread, Old fashioned Fig Preserves, and Lingonberry Fruit Spread. Rugelach is often served on Jewish holidays like Hanukkah and Shavuot. 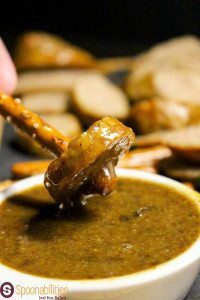 In this Sausage Bites with Fig Pomegranate Mustard recipe, the combination of the mustard with the Fig Pomegranate Jam is superb, and perfectly matches with sausage bites and pretzels. The flavor is sweet but at the same time tangy. It also goes very well with dried cured meats. 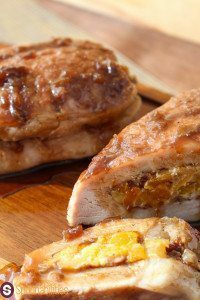 Stuffed Pork Chops with Fig Pomegranate Glaze is an excellent dish to make, when you invite people over for dinner or for any day if you feel craving for a delicious, sweet, crunchy pork chops. But, don’t forget the glaze made with our Fig Pomegranate Jam. 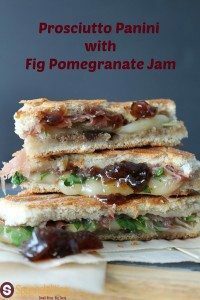 This Prosciutto Panini with Fig Pomegranate Jam is a great option for a quick lunch or for snack. The combination of the peppery arugula, the semi-soft gentle buttery and nutty flavor of the Fontina & the delicate, salty taste from the Prosciutto. 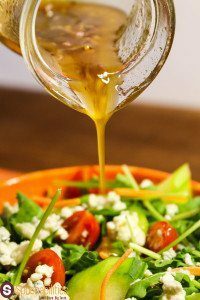 Delicious & Sweet Fig Pomegranate Vinaigrette is great for any kind of salad. Crumbles some cheese on top for an added touch. 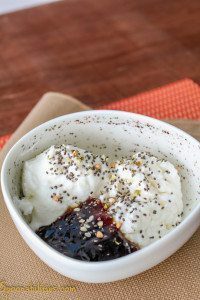 Find this Fig Pomegranate Jam and recipes ideas at Spoonabilities.